In this video we will discuss model validation in ASP.NET Core with examples. 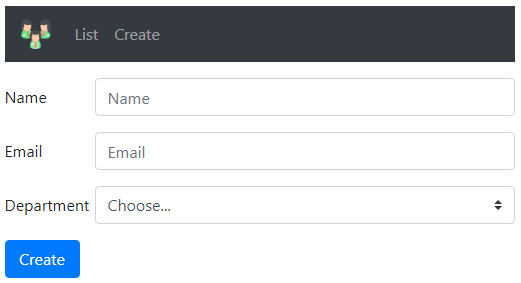 We want to make both Name and Office Email fields required. 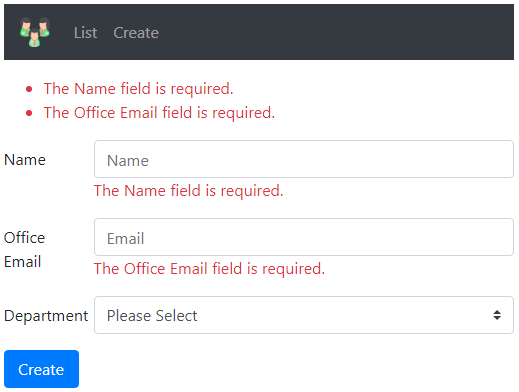 If the required values are not provided and the form is submitted we want to display required validation errors as shown below. If invalid email is provided we want to display Invalid Email Format validation error as shown below. To make Name field a required field, apply Required attribute on the Name property of the Employee model class. Required attribute is in System.ComponentModel.DataAnnotations namespace. If validation has failed we return the same view so the user can provide the required data and resubmit the form. To display validation errors use asp-validation-for and asp-validation-summary tag helpers. asp-validation-for tag helper displays a validation message for a single property of our model class. asp-validation-summary tag helper displays a summary of validation errors. To display the validation error associated with the Name property of the Employee class use asp-validation-for tag helper on a <span> element as shown below. To display a summary of all validation errors use asp-validation-summary tag helper on a <div> element as shown below. We will discuss the difference between these values and what they do in our upcoming videos. For now set it to a value of All. By default the Required attribute on the Name property displays the following validation error message. 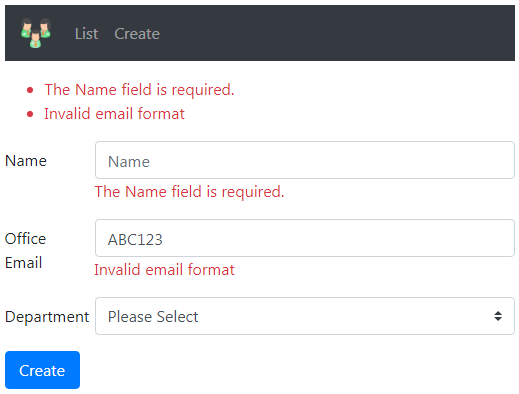 If you want to change the validation error message to "Please provide a value for the Name field" you can do so using the ErrorMessage property of the Required attribute as shown below. This is not a validation attribute. It is commonly used for display purpose in the UI. For example, in the UI by default, the label for Email field displays the text Email, because the property name is Email. Multiple validation attributes can be applied on a property by separating them with a comma as shown on the Name property or we stack them on top of each other as shown on the Email property.